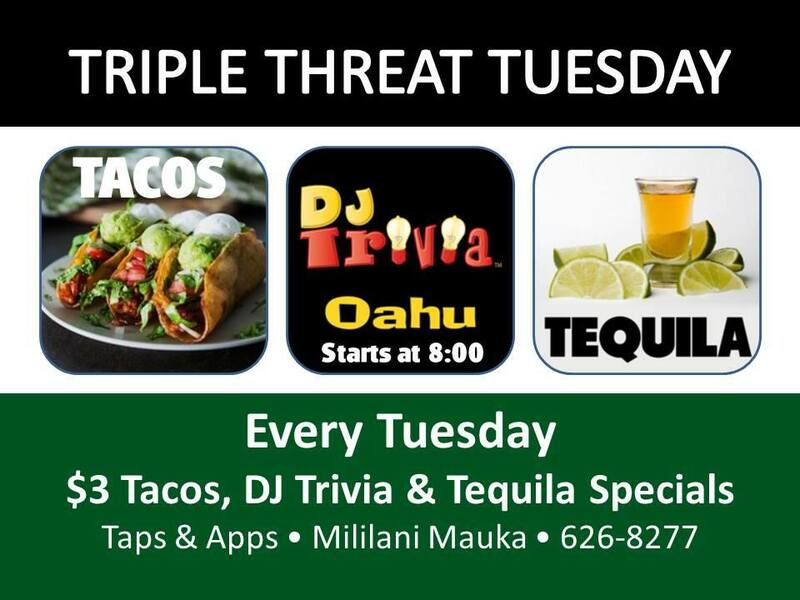 Triple Threat Tuesdays with DJ Trivia! Every Tuesday is Triple Threat Tuesday! 1. DJ TRIVIA! Starting at 8pm. No reservations necessary and free to play! 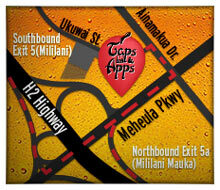 Winners get gift cards to use at a future date at Taps & Apps. 2. ALL TEQUILA $1 off. That’s $1 off all our tequila selections. 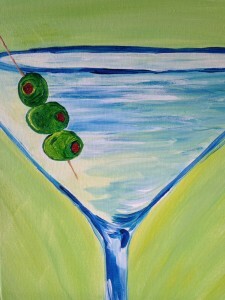 We also feature $5 Margaritas and $5 Casa Noble Silver Tequila during trivia! 3. TACOS! Starting at $3. We feature unique and awesome tacos! Come get your smart on and win some prizes!